**BREAKING NEWS*** On Friday February 8th we won 3 awards at the Greater Manchester Business Awards for Business of the Year, Employer of the Year and Customer Service Excellence!! 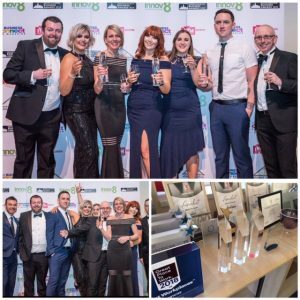 Jobwise are an award-winning North West recruitment agency, we have won the highly prestigious “Best UK Recruitment Agency” in previous years. All our awards and accreditations back up our claim of being the leading regional recruitment agency within the North West. To be the best, you have to believe you are the best. Then you have to make sure that belief is backed up by real achievement measured against the highest standards. Nothing gives us greater pride than knowing we appear in the Sunday Times Best Small Companies to work for and are listed as ‘oustanding’ in the Best Companies Guide. In 2016 we won Employer of the Year at the e3 North West business awards, and recently received a Special Recognition Award in the ‘Employer of the Year’ category at the 2018 Greater Manchester Business Awards. This means that our people are not only happy but effective and successful at what they do. Their enthusiasm, energy and commitment is contagious and translates into successful recruitment time after time. We ensure we offer a quality service, our internal systems are audited against ISO 9001 and we are also accredited as an Investors in People company. 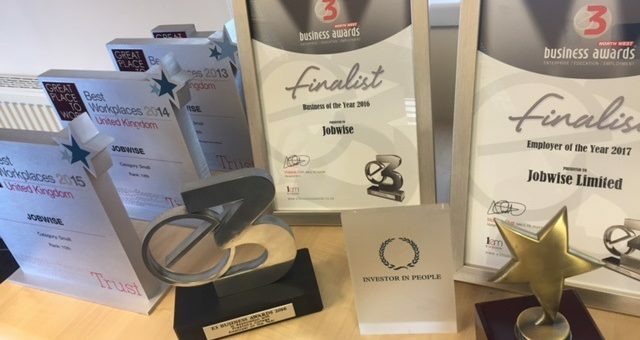 All of these accreditations and awards mean you will have a consistently effective “award winning” service from Jobwise. We are also proud to have recently been awarded the Investors In People Gold standard. This means we are in the top 7% of UK accredited organisations who believe in realising the potential of their people. High standards, quality and loving what we do – its a successful combination that adds real value to our business and is guaranteed to do the same for you. In an ever increasing competitive industry, we are committed to being an ethical recruiter; the Charter of Excellence demonstrates this, for both Employers and Job Seekers. This is a public promise, pledge … call it what you like, to those important users of our services. We have recently passed the Cyber Essentials Scheme, and have received a Cyber Essentials Certification. Please click on the icon below to view our Certificate of Assurance. Contact our award-winning team to see how we can make a difference to your business or help you find a job you’ll love.